The History of Native Americans is both fascinating and in many ways, tragic. Estimates range from about 10 – 90 million Native Americans inhabited America at the time of the European arrivals. They had lived in the land many, many years before white man set foot on their soil. It is believed that during the ice age, they had traveled a land-bridge across the Bering Sound, from Siberia into what is now Alaska. They had gradually migrated across the land and southward into Mexico and beyond. The name “Indian” was given them by Christopher Columbus who mistakenly believed he had landed in the Indies. They have been labeled Indians, American Indians, and the now preferred Native Americans. 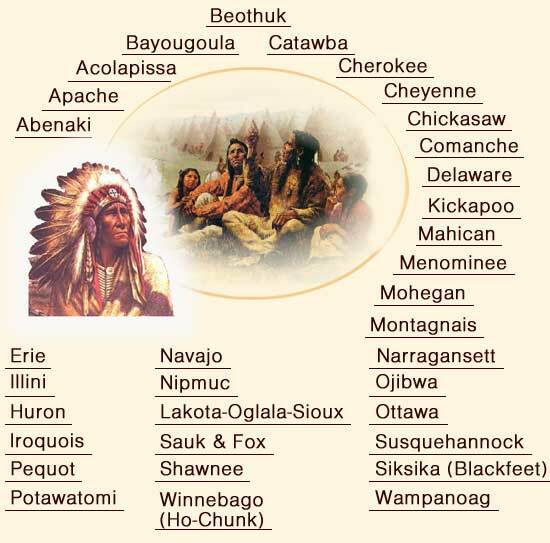 They migrated to all regions of the land and were formed into many different tribes or nations. These were a people who adapted well to their particular regions and made wise use of all natural resources available. 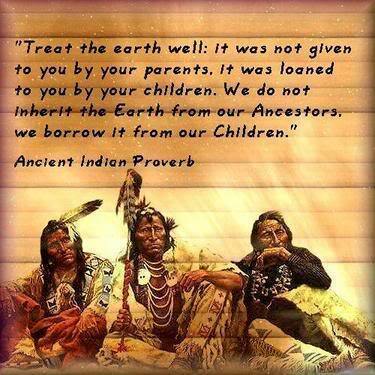 They believed in respecting the land and the abundance of gifts it offered. They became proficient fishermen, hunters, farmed crops such as corn, and built homes with whatever available resources their territory provided. Some of these included animal skins, sun-dried brick for adobes, or lumber for long houses depending on the regions. but are still looking for recognition from their neighbors. politically with their allies the Coushattas. live in the modern Ontario/Quebec area of Canada. 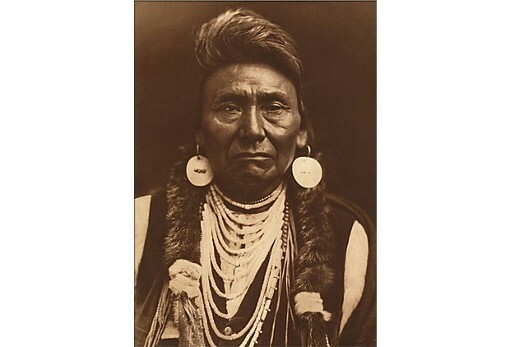 the Mexicans and Americans, under the leadership of warriors like Geronimo and Cochise. their descendants live in Louisiana today. to the Americas, they began to follow the buffalo herds like the Cheyenne and Sioux. Devastated by epidemics, the Arikara tribe has merged with their neighbors the Mandans and Hidatsas. 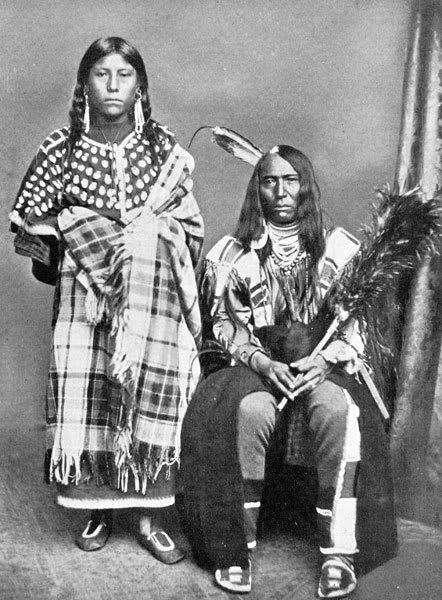 Relatives of the Sioux tribes, the Assiniboines were known as big game hunters and expert traders. American Indians of the Gulf Coast, the Atakapas are known today for their contributions to zydeco music. and lives off the land. The Beothuks or "Red Indians" were the original inhabitants of Newfoundland, Canada. Tragically, they died out in the 1800's. Montana and the Siksika, Piikani, and Kainai in Canada. farming people known for their pottery art. technologically advanced cities with windbreaks, seawalls, piers, and canal systems. and they have preserved their native pottery-making traditions among other customs. Oklahoma along the infamous Trail of Tears. along the Trail of Tears. In the century between, waves of western settlers pounded against the borders of Indian lands. Yet the course of events that led to this narrative of conquest was not inevitable. America's first president, George Washington, and his Secretary of War Henry Knox claimed to respect Indian rights and promised to secure Indian lands for white settlement only through treaty and purchase. Later, politicians and philanthropists also rose to oppose Andrew Jackson's removal policies during the 1830s. Still, by 1840, the great majority of the Eastern Indians had been relocated to lands west of the Mississippi River. 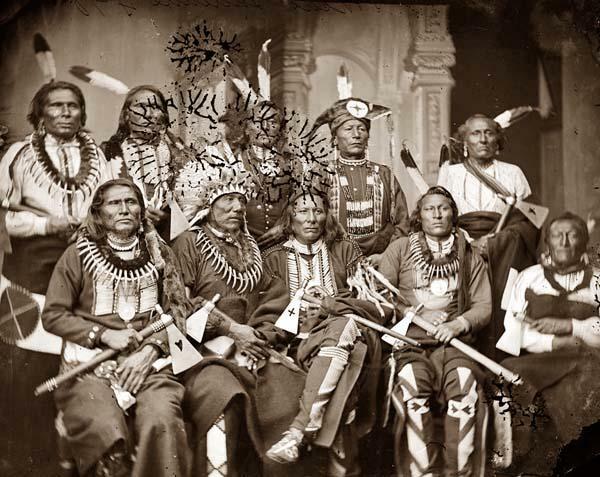 And in the second half of the nineteenth century, homesteaders, miners, and railroad companies, assisted by the United States Army, encroached on the lands supposedly set aside for the Indians into perpetuity. At most every turn, Native Americans found themselves overwhelmed by Anglo-Americans' financial and military resources. But their response to events was neither one-dimensional nor defeatist. Some tried diplomacy. Others turned to religion. Still others tried to deflate white antagonism by embracing the economic and cultural values of their enemies. Some worked the legal system skillfully. Others found success in war. Some even turned philanthropists' well-intentioned but ethnocentric plans for their assimilation into a basis for political organization. 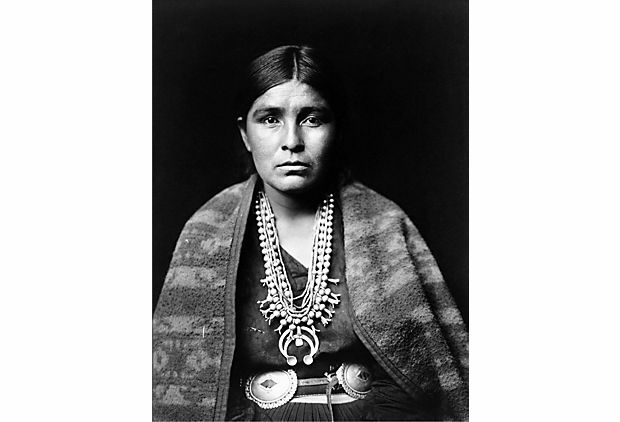 Native Americans suffered a collective tragedy over the course of the nineteenth century. But their stories cannot be simply condensed into one master narrative of defeat and decimation. To understand what happened to "The American Indian," we need to look at the lives of the many Indians––and whites––that contributed to this multi-faceted story. Native Americans were here first, but those Americans who arrived later have never gotten their story quite right. From the moment Columbus stepped off his boat in the Bahamas and called the people he met there "Indios"—meaning people of India—Native Americans have been misrepresented, stereotyped, and simplified. Puritans assumed they were consorting with the devil in the forest. White expansionists branded them ruthless warriors. Even their nineteenth-century defenders often described them as "noble savages." In the twentieth century, many historians tried to correct these false narratives. But they often cast America's Indians as hapless victims—too trusting and too simple to defend themselves against the malevolent forces of white expansion. But Alexander McGillivray, a Creek chief, was a skilled diplomat. Major Ridge was a committed and talented Cherokee nation builder. Tenskwatawa was a shrewd Shawnee negotiator, skilled at playing competing European powers against one another. Henry Standing Bear was a far-sighted Lakota political organizer. And Wovoka, a charismatic Paiute preacher from western Nevada, inspired a religious-political movement that spread from California to the Dakotas. 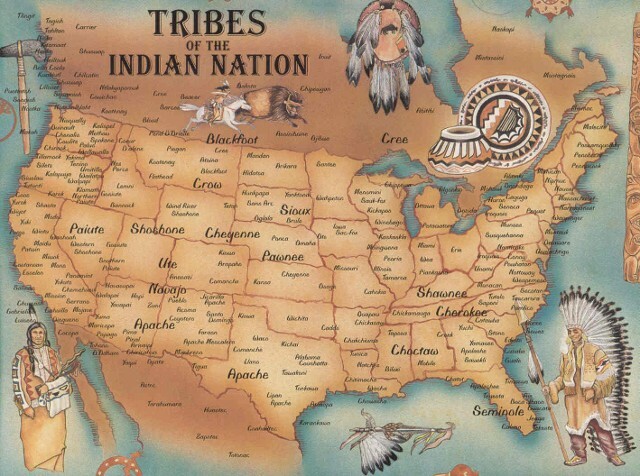 The United States Bureau of Indian Affairs currently recognizes 562 different tribes._CITATION_UUID__Linguists estimate that several hundred distinct Indian languages, falling into roughly 60 language families, were spoken by North America's native populations at one time._CITATION_UUID__ In other words, American Indian history cannot be fully captured in just a few stories. Too often in the past the history of America has been written as if it began with the arrival of the Europeans. This attitude excludes the long heritage of Native people who have lived in North America for tens of thousands of years (to traditional people, since the "beginning of time"). Five hundred years ago at the point of initial contact with Europeans millions of culturally diverse people speaking hundreds of different languages populated North America. The environments in which they lived shaped their lifestyles. Depending on the resources available to them, some were farmers or gatherers, others fished and hunted. Many tribes lived in one place most of the time, while others were nomadic hunters following the migratory patterns of large game animals, such as buffalo. 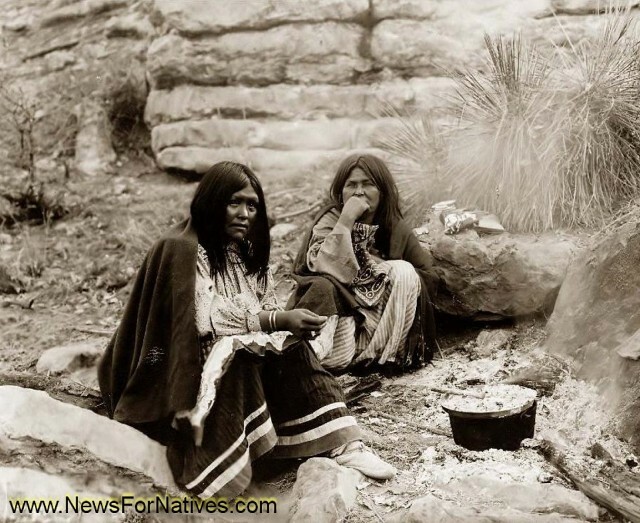 Despite the five centuries that have elapsed since Native people and early explorers came into contact, the history and culture of Native people remains unknown or misunderstood by many non-Indian people. The misunderstanding began early. Christopher Columbus set out to explore Japan, Korea, China, and India, which were collectively referred to at the time as the East Indies. Believing that he had arrived in the Indies when he reached the lands of the New World, Columbus mistakenly called the Native people "Indians". This term has prevailed into the 20th century. Today, most North American Natives prefer to be called Native American or American Indian, although the majority of Native people originally referred to themselves in their own languages by words meaning "the people." For example the Ojibwe people, often referred to as Chippewa by non-Indians, call themselves "Anishinabe" which is the Ojibwe word for "the people." American Indians are not extinct people. Their cultures have a past and present and a future. Generalizations about Native people contribute to stereotypic notions that make no allowance for individuality or for any possibility of change over time. Native American objects reflect aspects of cultures that should be ascribed only to the people who produced them and to the particular time in which the objects were made. In doing so, we respect the diversity of Native people and acknowledge that their cultures, like all others, and are not fixed in time. In the past, Native Americans did not create art for its own sake. The form and decoration of handmade objects evolved out of daily needs and spiritual beliefs over thousands of years. Art, beauty, and spirituality are so intertwined in the daily life of traditional Native Americans that it is nearly impossible to speak of them separately. 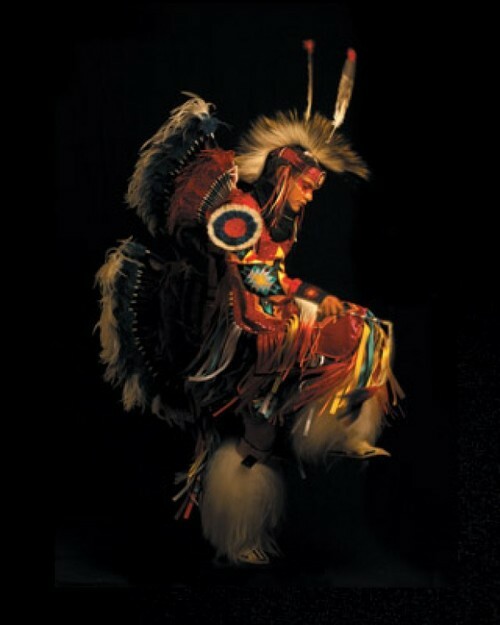 Historically, Native Americans' lives were shaped by their spiritual beliefs. Most Native people believed that they were connected to every other element of creation. Each animal, tree, or rock had its own spirit through which an individual could establish contact with the spirit world. 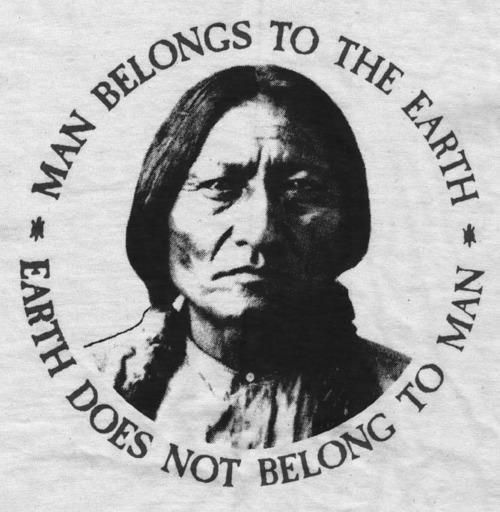 The survival and well-being of Native people was dependent on maintaining harmony with the earth. 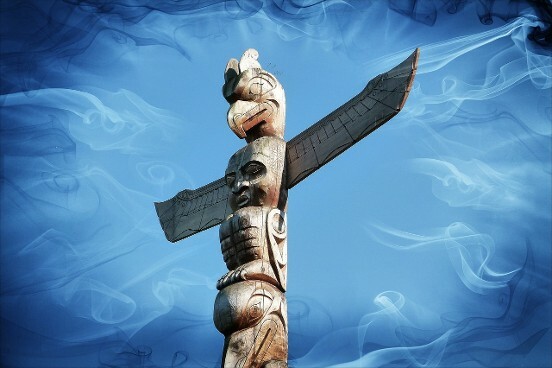 Many contemporary Native people continue to hold these traditional beliefs. The history of the Native American people is a story of loss, but more than that, it is a story of resilient strength, and continuity. Despite tremendous obstacles, Native Americans have survived. Although their population was decimated, they have recovered. In 1917, for the first time since the arrival of Europeans on this continent, more Native Americans were born than died. Today approximately 2,500,000 Native Americans live in the United States. And, the world they live in is changing. 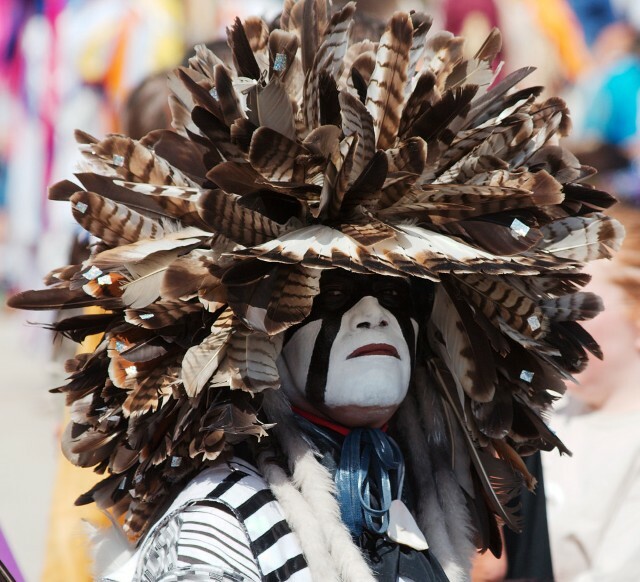 Native Americans are renewing their own pride in their traditions. 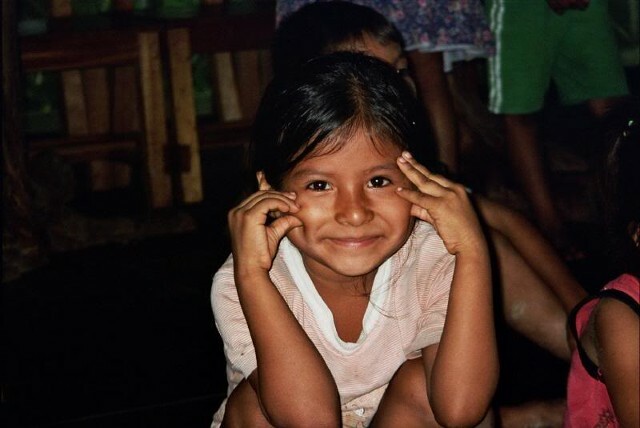 Education has enabled the Native people to benefit themselves and to accomplish much in the outside world. Today, many American Indian people regards themselves as nations within a nation, governed by their own tribal governments. They have hope for the future! 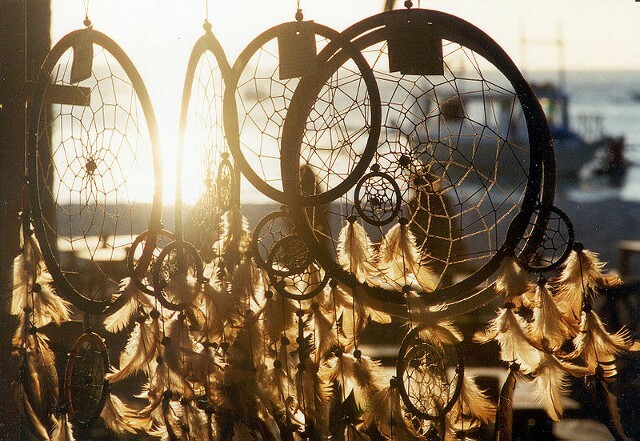 Dreams have always had many meaning to Native Americans. One of the old traditions was to hang a dream catcher in their homes. They believe that the night air is filled with dreams both good and bad. The dream catcher, when hung, moves freely in the air and catches the dreams as they float by. The good dreams know the way and slip through the center hole and slide down off the soft feather so gently the sleeper below sometimes hardly knows he is dreaming. The bad dreams, not knowing the way, get entangled in the webbing and perish with the first light of the new day. 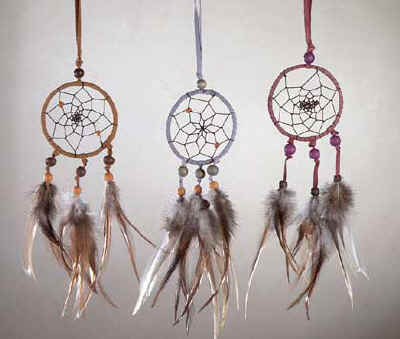 It was traditional to put a feather in the center of the dream catcher; it means breath, or air. It is essential for life. A baby watching the air playing with the feather on her cradleboard was entertained while also being given a lesson on the importance of good air. This lesson comes forward in the way that the feather of the owl is kept for wisdom (a woman's feather) and the eagle feather is kept for courage (a man's feather). This is not to say that the use of each is restricted by gender, but that to use the feather each is aware of the gender properties she/he is invoking. (Indian people, in general, are very specific about gender roles and identity). The woven dream catchers of adults do not use feathers. A spider was quietly spinning his web in his own space. It was beside the sleeping space of Nokomis, the grandmother. Each day, Nokomis watched the spider at work, quietly spinning away. One day as she was watching him, her grandson came in. "Nokomis-iya!" he shouted, glancing at the spider. He stomped over to the spider, picked up a shoe and went to hit it. "Nokomis, why do you protect the spider?" asked the little boy. The old lady smiled, but did not answer. When the boy left, the spider went to the old woman and thanked her for saving his life. He said to her, "For many days you have watched me spin and weave my web. You have admired my work. In return for saving my life, I will give you a gift." He smiled his special spider smile and moved away, spinning as he went. Soon the moon glistened on a magical silvery web moving gently in the window. "See how I spin?" he said. "See and learn, for each web will snare bad dreams. Only good dreams will go through the small hole. This is my gift to you. Use it so that only good dreams will be remembered. The bad dreams will become hopelessly entangled in the web. Long ago when the word was young, an old Lakota spiritual leader was on a high mountain and had a vision. In his vision, Iktomi, the great trickster and teacher of wisdom, appeared in the form of a spider. Iktomi spoke to him in a sacred language. 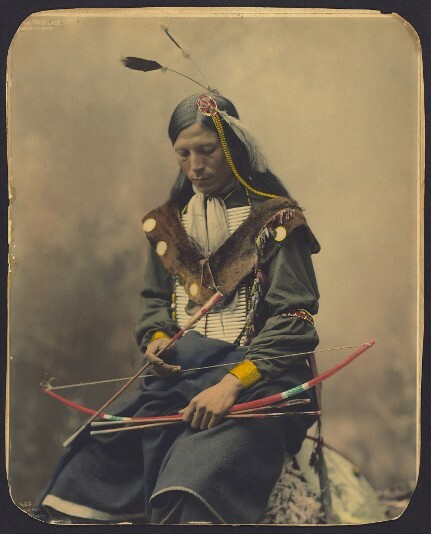 As he spoke, Iktomi the spider picked up the elder's willow hoop which had feathers,horsehair, beads and offerings on it, and began to spin a web. He spoke to the elder about the cycles of life; how we begin our lives as infants, move on through childhood and on to adulthood. Finally we go to old age where we must be taken care of as infants, completing the cycle. "But", Iktomi said as he continued to spin his web, "in each time of life there are many forces; some good and some bad. If you listen to the good forces, they will steer you in the right direction. But, if you listen to the bad forces, they'll steer you in the wrong direction and may hurt you. So these forces can help, or can interfere with the harmony of Nature." While the spider spoke, he continued to weave his web. When Iktomi finished speaking, he gave the elder the web and said, "The web is a perfect circle with a hole in the center. Use the web to help your people reach their goals, making good use of their ideas, dreams and visions. 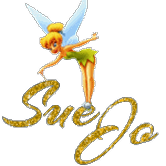 If you believe in the great spirit, the web will catch your good ideas and the bad ones will go through the hole." The elder passed on his vision to the people and now many Indian people hang a dream catcher above their bed to sift their dreams and visions. The good is captured in the web of life and carried with the people, but the evil in their dreams drops through the hole in the center of the web and is no longer a part of their lives. It's said that the dream catcher holds the destiny of the future.